With news piling up, let's get this month's Defunct Local Band Profiles up on the SMS! This monthly feature series spotlights 1 or 2 defunct or inactive metal, hard rock, or punk bands from the Sault Ste. Marie area, in order to spotlight them and their material for current readers, all randomly selected from our inactive band links. With last month's choice only having minimal surviving information, we have rounded things out with a similarly limited band, so here's what you should know for this month's profiles! Info/Analysis: Originally described as "an instrumental bass/keys/drums project" on his former PureVolume page, Andrew MacDonald had used the LikeKissingBricks moniker for solo pursuits from 2003-2004, complete with a demo cassette EP named "Rainy Days". Andrew revived it in late 2016 as "a rough demo recording project" (sans keyboard) on 4 track tapes, though LikeKissingBricks quietly fell inactive by last year. 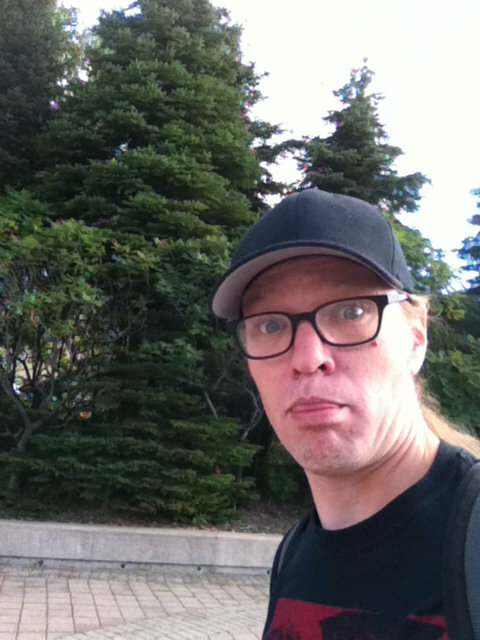 The demo and 3 newer songs can be streamed on his Bandcamp page, which showcase his bass and drum skills nicely, though the lack of guitar is noticeable sometimes, and the "Rainy Days" demo's recording quality is muddy. There's more of a punk bite to the newer demos, and while they admittedly feel more like songs in progress, LikeKissingBricks had promise, and hopefully Andrew revisits them in the future! Here's "Dunhills & Codeine" from his demo! Info/Analysis: Formed in late 2009, Hammerspace quickly became a frequent sight at local concerts over the following year, including a Corner Pub battle of the bands victory in June 2010, as well as a number of headlining sets at Zim's, among other Sault Michigan venues. 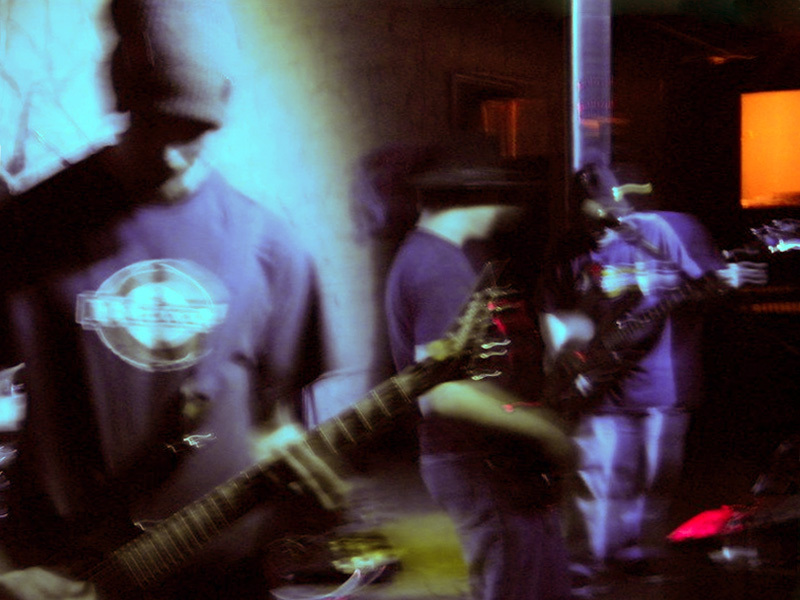 Amidst vocalist uncertainty, the band dissolved in April 2011 for personal reasons, and later cancelled a reunion set at LemmaFest, before returning that fall with teased studio plans. The group dissolved for good in early 2012, though frontman John Bergeron sporadically updates their Facebook & Reverbnation pages with archive demos. You can hear 13 demos there with both John and Logan singing, and while rough in nature, they show promise with a heavy bite, strong guitar riffs, and quality drumming! The vocals weren't overly polished, but the aggression was there, and it's a shame Hammerspace couldn't sustain their potential in the early 2010s, they were a band to watch at their peak! Here's "Changing of the Guard" with Logan on vocals! I hope you guys liked this month's Defunct Local Band Profiles! This series returns on or around September 10th with another two band profile, as the first that we randomly selected has very slim public information nowadays, so we added a second profile to round things out. As we're starting a new 2-1-3-1-2-1 rotation between the Twin Saults, both are Sault Ontario acts, namely former Valentine's Day Massacre guitarist Andrew Angelic's old solo project, and mid-2000s hard rock quartet The Pisstanks! Look for those next month, and stay tuned for more news tomorrow! Thanks everyone!